Having significant traffic and excellent website design is not quite enough for e-commerce success. Your online store has to generate enough leads that translate into sales and increased profit. For this reason, it is vital for web designers to incorporate the right optimisation hacks that can boost conversion rates. Your conversion rates are what determines how successful your website is and much money you can make out of it. Things like fast loading speed and simple checkout process help immensely. Comment and review sections increase the engagement, laying the foundations for a stable social commerce strategy. If you are a freelance web designer or an e-commerce store owner, you are in the right place. In this blog post, I will share ten of the most critical web design tips that will skyrocket your conversion rates. 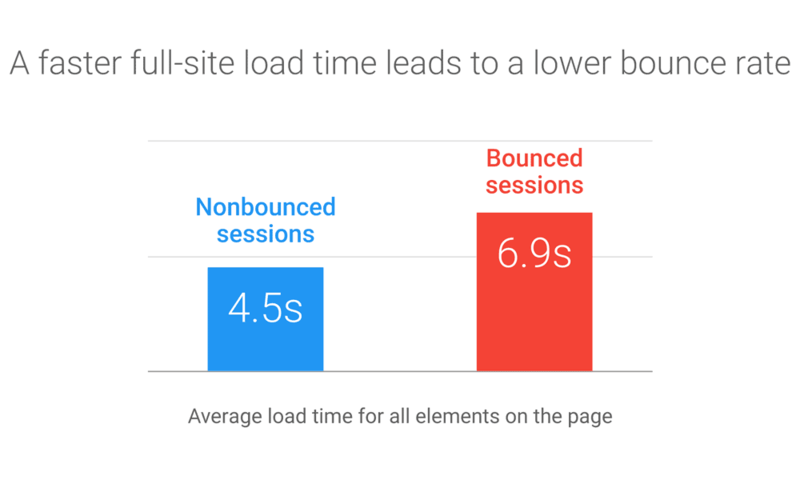 Research statistics from Websitebuilder.org state that a second delay in a page load time leads to a 7% lower conversion rate. The checkout process also affects the conversion rate in that a faster checkout process increases the conversions by 66%. How can you decrease the load time? Reduction of the HTTP requests – The more the HTTP requests, the more the time required to load the pages. Compression – GZIP compression can be easily added to the .htaccess file on a Linux web server. The load time is reduced by up to 20% once this is done. Typically, the technical support team of your hosting provider can do that for you. Enable browser caching – Browser caching enables the local visitor to have the webpage saved on their browsing app. This reduces the time spent once the website is loaded again by the same user. In the year 2017, there were approximately 188 million mobile phone shoppers in the US. The number is continuously rising and is expected to double in 2018. This is a clear indication that a great many shoppers access websites from their mobile devices. A fundamental web design tip is that you must create websites that are mobile friendly to tap into this potential market. Walmart recorded an increase of 20% in their conversions right after optimising their websites for mobile users. 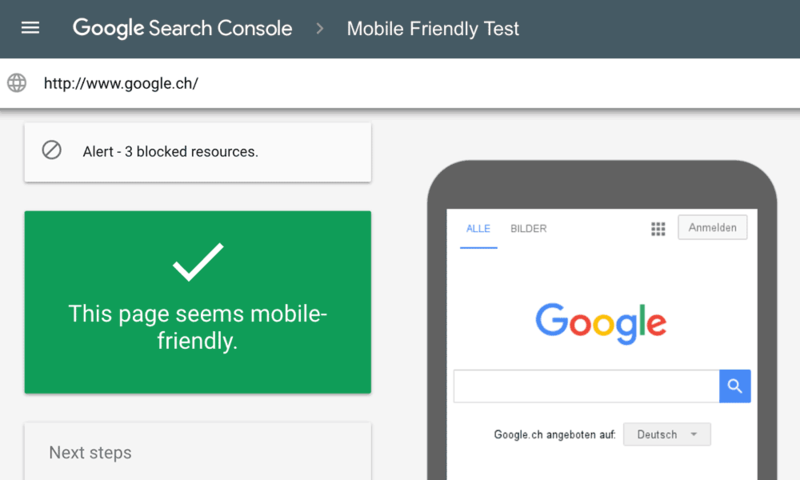 In creating a mobile-friendly website, the designer has two options: whether to create a responsive or adaptive site. The responsive website, just as the name suggests, changes based on the device being used. The adaptive option requires the designer to create different websites based on the device. Take a look at Amazon and its variations when opened on mobile, tablet and laptop. The site is different on either of the devices. Based on the company or business requirements, choose the best fit, but ensure that the end user can have a great UX on their mobile. No one likes filling out pages and pages of forms. Statistically, 48% of potential customers abandon websites due to registration forms with many fields. Essential web design tips are therefore to make the registration process short, simple and straight to the point. Only request information that is critical to the website. BliVakker.no can attest to this after they achieved a 10.48% increase in their conversion rates after reducing three fields from the registration fields. Reduce the time customers spend on dull chores and improve their user experience by having less registration form fields. Trust is vital for all companies and even more so for those involved in online transactions. Having a trust seal on the web page can be the determining factor in choosing a company to do business with over a competitor providing similar goods or services. Increased fraud and hacking events in the past few years, make customers more cautious when making online payments. Several companies such as Cars.com have reaped significant benefits from having a trust seal badge on their websites. Cars.com recorded an increase in conversion rates by 2.7% right after adding the security badge. All forms of testimonials, text, videos or pictures contribute significantly to increase your conversion rates. Having testimonials on your website is a sure way to convince people that services or goods are worth the investment. Building reputation based on customer reviews is a simple to implement, yet the dominant form of social marketing. Sites like eBay and Amazon show the potential customer reviews bring. One of the reasons why they work so well is because online purchases remove the viewing, touching or feeling a product first-hand. Customers rely on reviews and testimonials to guide them while shopping. The addition of testimonials on Wikijob home page increased their conversions by a whole 34%. Candlemakers also reaped the benefits when a 166% increase in conversion rates was recorded after adding video testimonials. Website owners will do almost anything to increase their conversion rate. The good thing is that optimising your images can contribute significantly to improving search rankings, increase leads and generate traffic. Pictures not only make your site attractive but also increase the visual experience as potential buyers view your products. We often overlook the importance of having the right brand images. The impact images have on a website can no longer be ignored. By using larger images, Hyundai was able to score a 62% increase in test drive requests. Mall.cz increased their conversions by close to 10% after adding larger images with the right descriptions. Add alt tags to your pictures. This will improve search rankings for your website. Have the right Image file names. Use images taken with the right angles to avoid false advertising. 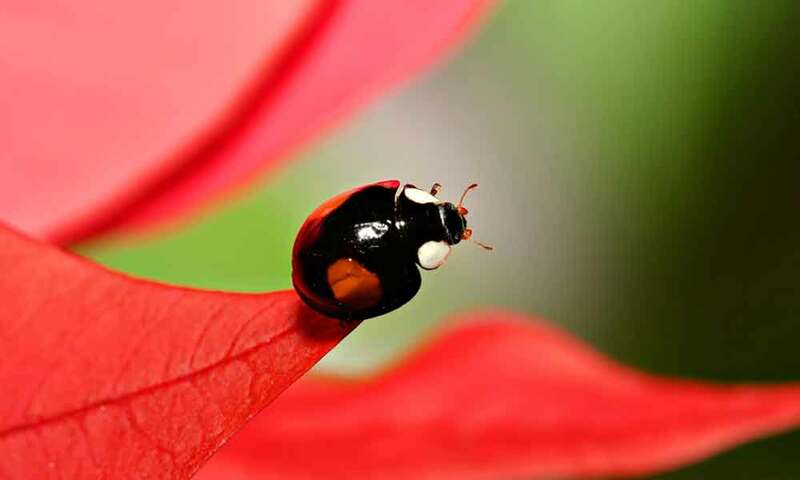 Upload small photos and give the option of viewing larger images. Decrease the file sizes of images. Use the right file type appropriately, JPEG, GIF, and PNG. 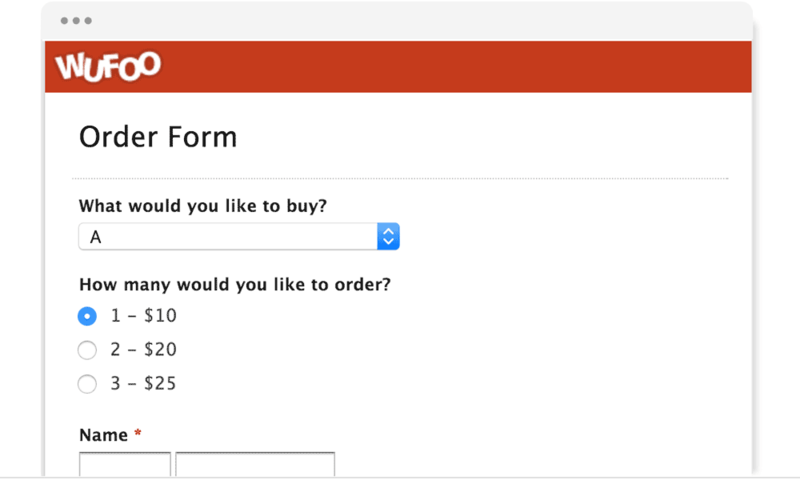 Why should you test the checkout page? However, if this page is not optimised accordingly, the customer may abandon the cart. If the A/B test is done correctly, loopholes will be identified, and the correct changes once applied, will boost your conversion rates. A 26% decrease in shopping cart abandonment can be observed once you review and redesign the check-out page. During his campaigns, Barack Obama was able to increase his campaign funding by $60 million right after using A/B testing. Here, once again I emphasise the fact that a customer making an online purchase cannot view, touch or feel the product. Additional information comes in handy in guiding the clients in their purchase decision. 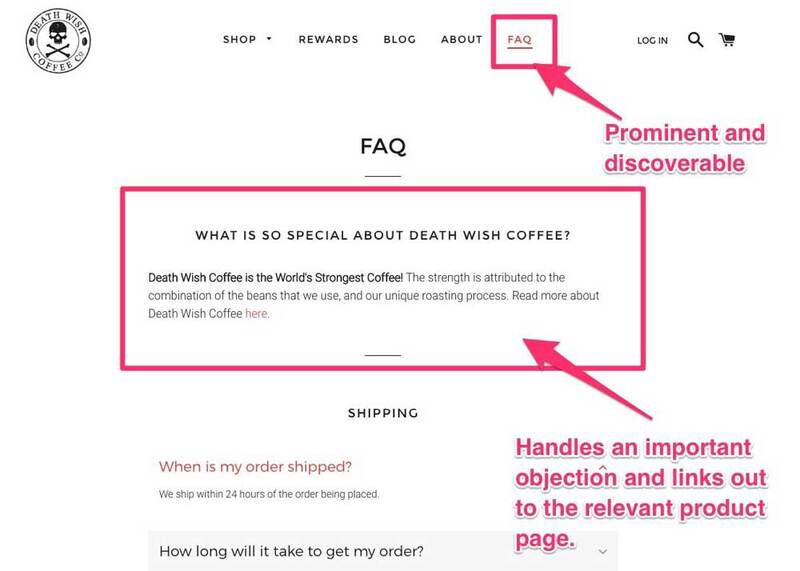 Create an FAQ page where customers can view additional details and information on your products or services. Roller Skate Nation raised their conversion rates by 69% by just adding an FAQ section on their website. If you are a designer creating a website, you have no choice but to optimise the call to action button. This is the button that tells your customer what to do next. If it is not visible or has an unclear description, you just might miss out on a sale. Choose the right colour – Three companies experienced a significant increase in conversion rates; British Airways, BMI and Performable whose rates changed by 34%, 2.5% and 21% respectively. Place the CTA in the right location – The CTA must be visible and accessible to trace. You do not want your customer searching for the ‘ADD TO CART’ button. One would probably think to have as many social share buttons is great for your store, but this is not the case. You may have up to ten social share buttons, but the quality is much important than quantity here. Implement social share buttons toward sites frequented by your target clientele. Some companies have increased their conversion rates by having a lower number of social share buttons on their website. Talloon.com increased their conversion rate by 12% when they removed social share buttons from the product pages. Make your pages less crowded with the minimal number of icons, buttons and tabs just to highlight the major products or services. Every website owner’s dream is to have the highest number of conversions possible. These web design tips can guide you as a freelancer in designing websites that meets your clients’ dreams. The above website design tips lead to lower bounce rates, higher rankings, better user experience, more leads, more conversions and more money. Research widely and get additional tips to design the most optimised website. Of what use is a site with low conversion rates? Thanks for sharing such a helpful tips.. 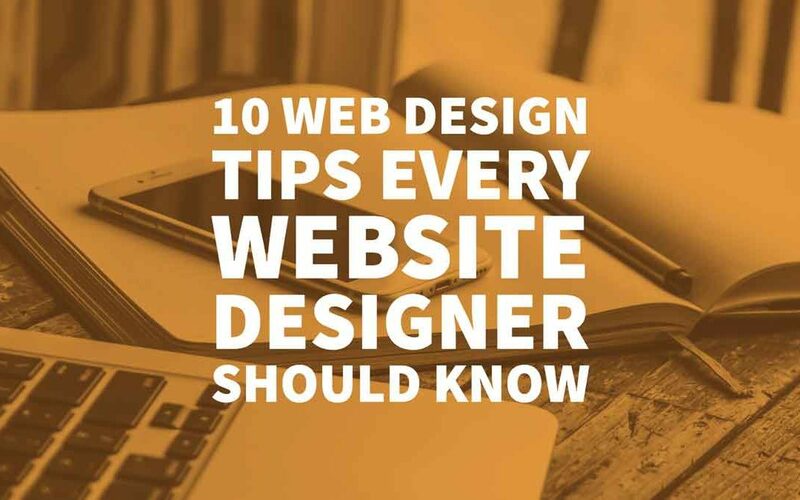 I want to thank you for your article”10 Web Design Tips Every Website Designer Should Know”. I did implemented your ideas and tips and within 2 months I noticed a great boost in organic traffic and immediately re-design my website to be mobile friendly as per your advice and bounce rate was greatly reduce with session upward by 537% and loading speed was improved. Thanks so much for sharing such a valuable content. Hello, I find your article very unique as most of the tips given by others focus on design elements while your tips focus on core object of the website. The tips like fewer registration fields, faq pages for products, optimizing the call to action button are really great tips. Most of the designers want to put as many fields and social media icons as possible to make the design appealing but it really harm the website objective. Thanks for the tips.